Welcome to the Bricklin SV-1 Build History internet site. This site is the result of a long time hobby, and should be treated as such. Do not use this site as the last word on the subject matter - see the Site Explanatory Notes Page. The information contained in this site has been gathered since 1977, and is as I understand. Keep in mind that there could be some errors. There are 3 model years for the Bricklin SV-1: 1974 - 772 examples built, 1975 - 2100 examples built, 1976 - 34 examples built. 8 Bricklin SV-1's were not built and divide the last 1974 Bricklin, VIN 772, and the first 1975 Bricklin, VIN 781. 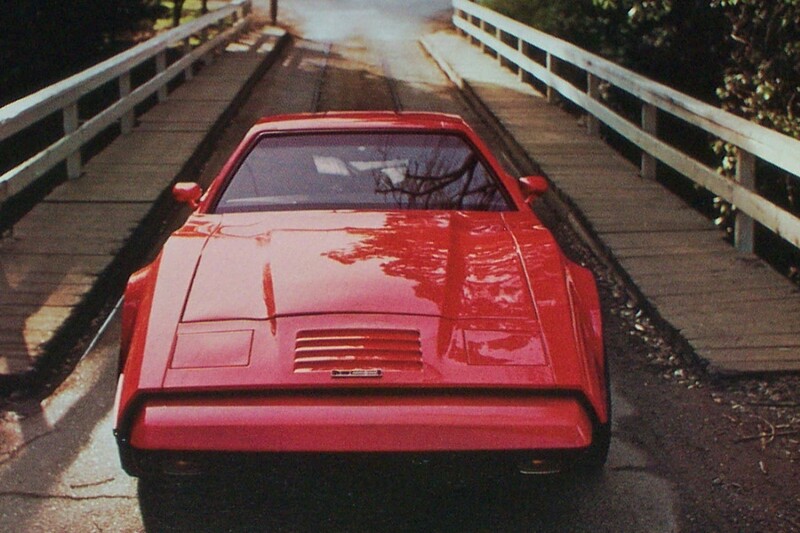 Thus, Bricklin SV-1 VIN's: 773, 774, 775, 776, 777, 778, 779, and 780 were not built. The total number of considered production Bricklin SV-1's built is: 2906. For the 1974 model year there were 2 options available: the color and transmission. Colors and corresponding data plate codes for 1974 are: Safety Red (1), Safety Green (2), Safety Orange (3), Safety White (4), Safety Ochre / Suntan (5). For 1974 there was a choice of an automatic or 4 speed transmission. For the 1975 and 1976 model year, the only option was the color - all transmissions for these 2 model years were automatic. The colors and corresponding data plate codes for the 1975 and 1976 model years were the same as the 1974 model year. The last color: Safety Ochre / Suntan (5) is generally referred to as Safety Suntan, the Safety Ochre name only being used in the early 1974 Owners manual, and in the Build History documentation. 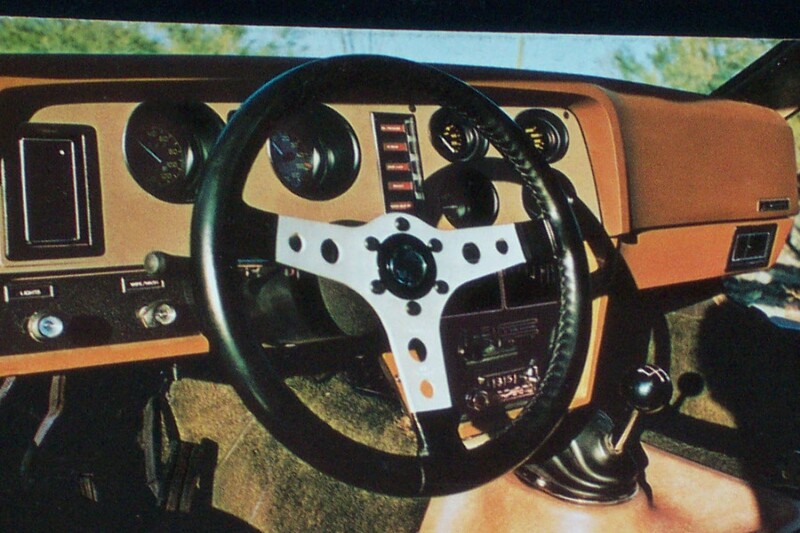 All 3 model years only had one production interior color: Phoenix Brown. Special Thank You's go out to 5 persons: Glenn Nutting, for loaning me his historical documents back in 1980, Jerry Putnam ( past president of Bricklin International ), for sending me a copy of the memo showing that Bricklins 773 through 780 were not built, around 1983. Thanks also to Rich Haines for his cooperation and help. Also, many thanks to Mike McCluskey for his help and cooperation. Much appreciation and thanks to Kerry Stark, for his research on the Scottsdale Police Department Bricklins. Without the help of these 5 men this site would likely not exist. Thanks also to everyone else who helped out over the past 41 years. For years there have been differing opinions of the last Bricklin. You could make a case for VIN 2857 - last one built on September 23, 1975 ( last operating day of Bricklin Canada LTD. ), with the paper work gone through, or you could make a case for VIN 2865 - last one completed by the factory. Or you could also make a case for VIN 2896 - last data plate stamped by the factory. There are Bricklins with VIN numbers to VIN 2914. Data plates were reportedly stamped to around plus or minus VIN 2920. So which Bricklin is the last ? Let's go back in time before the Bricklin and look at the 1948 Tucker. 51 Tuckers are considered to have been built. As I understand the last completed 1948 Tucker by the factory was Tucker # 37 ( 1037 ). Yet the remaining Tuckers are still called Tuckers, and are considered to be Tuckers. For the purposes of this website, The last Bricklin will be considered to be VIN 2914. It is interesting to note that 1974 Bricklins were built very late into that year. I have seen VIN's 769 ( 4th to the last '74 - white 4-Speed ) & 771 ( 2nd to the last '74 - also a white 4-Speed, and last 4-Speed built ), and both have production dates on the data plate of: December 29, 1974. Looking at the 5 examples of VIN numbers above, this is how to read the VIN number: 1st 3 digits: S.A.E. World Maker Code - 4th digit: Body Color - 5th Digit: Trim ( interior ) Color - 6th Digit: Engine Type - 7th Digit: Transmission Type - 8th Digit: Model Year - 9th Digit: Final assembly point - Last 6 Digits: Fabrication or Sequential Number of that Bricklin. Established: February, 2005. Copyright (c) 2005 - 2019 Randy Poulos. All Rights Reserved. Rarest of the production 1974 Bricklins is the one and only red 4 speed: VIN 403. There were an estimated 155 4-Speed Bricklins built in the 1974 model year, with the balance having automatic transmissions.